For much of the Middle Ages, the Lara family was among the most powerful aristocratic lineages in Spain. Protégés of the monarchy at the time of El Cid, their influence reached extraordinary heights during the struggle against the Moors. Hand-in-glove with successive kings, they gathered an impressive array of military and political positions across the Iberian Peninsula. But cooperation gave way to confrontation, as the family was pitted against the crown in a series of civil wars. This book, the first modern study of the Laras, explores the causes of change in the dynamics of power, and narrates the dramatic story of the events that overtook the family. The Laras’ militant quest for territorial strength and the conflict with the monarchy led toward a fatal end, but anticipated a form of aristocratic power that long outlived the family. The noble elite would come to dominate Spanish society in the coming centuries, and the Lara family provides important lessons for students of the history of nobility, monarchy, and power in the medieval and early modern world. 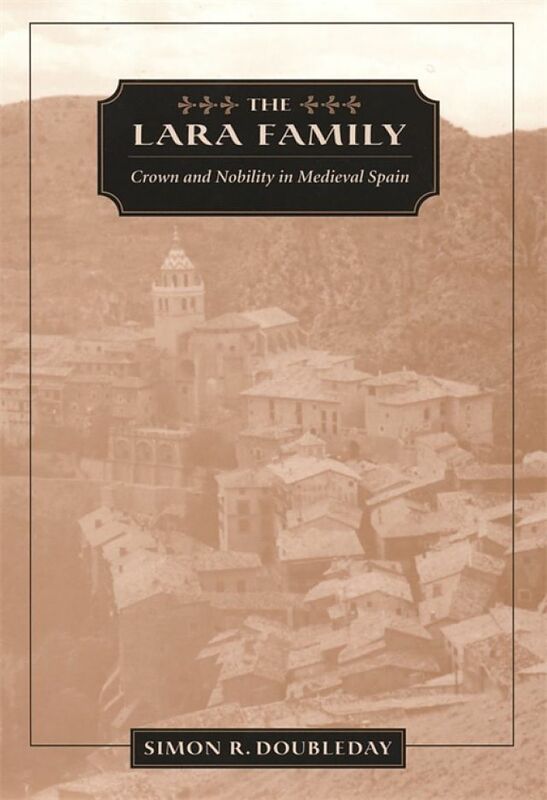 "serious students of Spanish history will find it informative and cogently argued"
Doubleday, Simon R. The Lara Family: Crown and Nobility in Medieval Spain. Cambridge, Mass. : 2001. vi + 198 pp. Print.